Fortunately, unless a child nearby lost a tooth today, this post is good year-round. To such a child We offer our apologies. 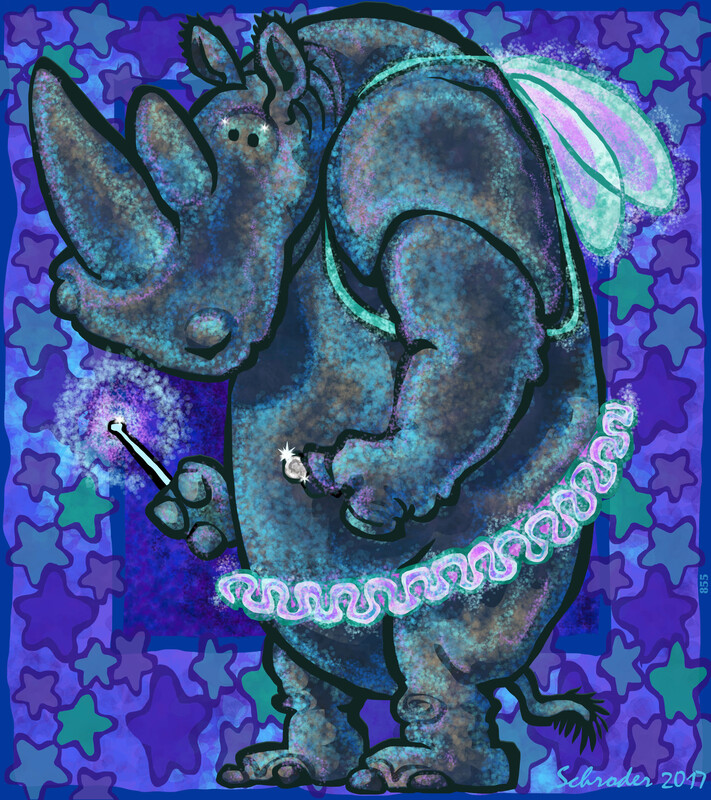 Rhinos are not comfortable indoors, so We only do Tooth Fairy Duty for children who sleep outdoors.